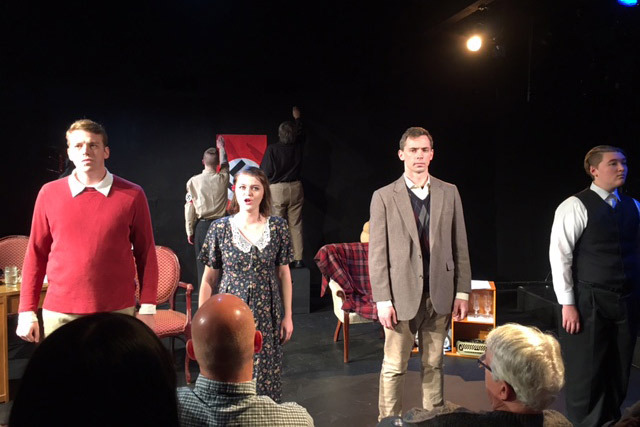 On November 5, 2017, I was honored to be the talk back speaker after a performance of The White Rose at the Broom Street Theatre in Madison, Wisconsin. The producer, Brian Belz, and director, Simone LaPierre invited me to talk after seeing my short film on The White Rose, which recently debuted at the CLU Exchange. Everyone at Know Better Productions gave an outstanding performance and I have no doubt the students they portrayed would have been pleased. 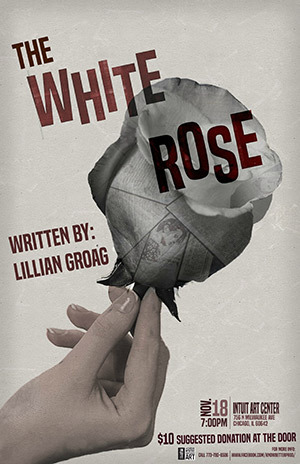 The White Rose was written by Lillian Groag and premiered in 1991 at the Old Globe Theatre in San Diego. The play is about the Nazi student resistance group called The White Rose and deals with their Gestapo interrogations prior to their executions in 1943 in Munich. 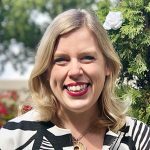 Although the play blurs some facts with fiction, their iconic story serves as a poignant reminder of the importance of civic engagement, moral courage, and independent thinking. Every day we are all faced with moral dilemmas and must decide whether to resist, conform, or remain indifferent. Whatever we decide, we must be prepared to accept the consequences. Visit Know Better Productions’ Facebook page for more upcoming shows. I’m sure you will leave inspired. If you can’t attend one of their performances, I encourage you to follow them on Facebook and Twitter. Similar to the White Rose students shown in my short film, the cast and crew work hard to make a social impact through the power of their words. I was impressed with their attention to detail, research, acting, and overall performance. Brian, the producer, had it right when he first invited me to give the talk back session. He wrote, “Saying and doing what is good and right does matter and more importantly can echo for generations.” Sometimes all we can do is the right thing. And that alone, matters.